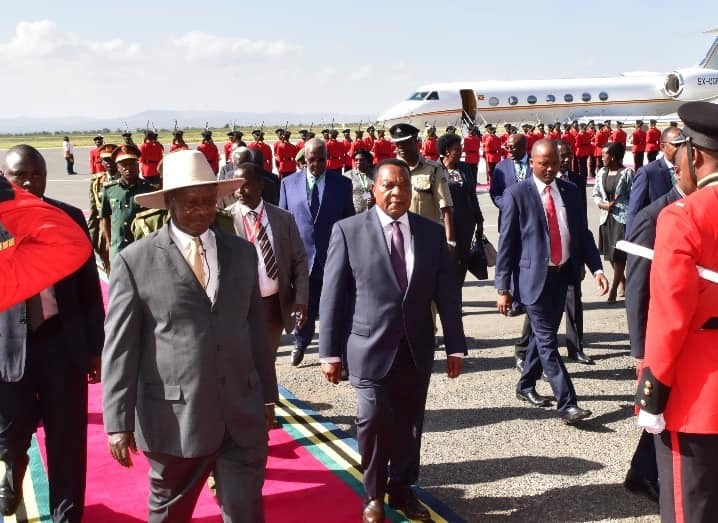 ARUSHA – President Yoweri Museveni has left for Arusha, Tanzania, where he is part of the 20th Ordinary Summit of East African Community (EAC) Heads of State. Don Wanyama, the presidential press secretary tweeted that president Museveni and other regional leaders have a raft of issues to look at, including the implementation status of the EA Customs Union, the progress report on political confederation, financial status of the community and report on having two deputy SG’s recruited competitively. Other issues are the endorsement of Kenya’s push for a non-permanent slot on UNSC, report on EPAs and promotion of motor vehicle assembly plant in the region. A tweet from the President’s office confirmed that Mr. Museveni arrived in Arusha, Tanzania this morning for the 20th Ordinary Summit of East African Community Heads of State. “We shall discuss an array of issues, all meant to enhance the economic, social and political integration of the EA community,” reads the tweet. 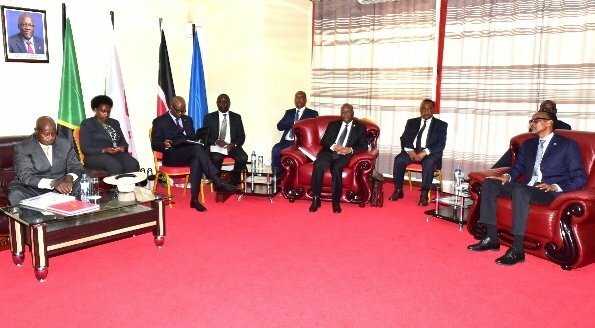 President Museveni is also expected to hand over the chair of the EAC to another head of state whom the leaders will agree on. Besides the EAC Summit, President Museveni is expected to hold talks with his host, President John Pombe Magufuli focused on regional trade, infrastructure and investment which are common areas of interest for both Uganda and Tanzania. This website has learnt that Burundian President Pierre Nkurunziza has delegated his First Vice President Gaston Sindimwo to represent him at the 38th Extra-Ordinary Meeting. Analysists say Nkurunziza’s decision will breathe new life into the regional body which was seen as walking a tight rope amid serious disagreements among member states. Other leaders include Kenya’s Uhuru Kenyatta, South Sudan president Salva Kiir, Paul Kagame of Rwanda and Tanzania’s John Magufuli.